Unai Emery personally persuaded Moroccan-French Matteo Guendouzi to sign for Arsenal ahead of some other elite European clubs this transfer market, according to reports in France. French newspaper L’Equipe, as cited by The Metro, is reporting that the new Gunners manager has had an essential role in convincing the 19-year-old star to move to The Emirates Stadium this summer. 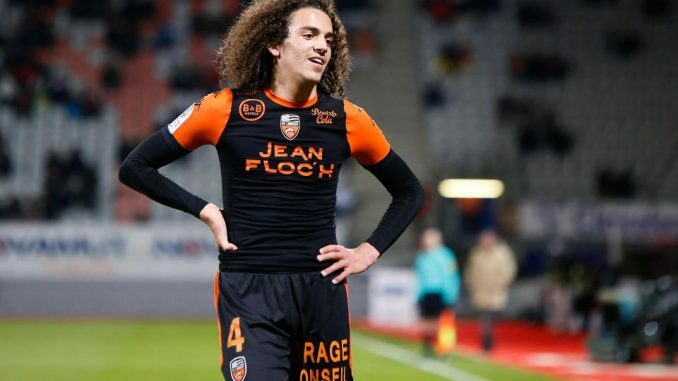 The same report says that Matteo was due to undergo a medical with the Gunners ahead of his proposed move from Ligue 2 side Lorient this week. The article states that Emery stepped in to try and lure the teenager to move to The Emirates Stadium this summer ahead of the likes of the Bundesliga side Borussia Dortmund and the French giants Paris Saint-Germain. The same story says that the youngster is poised to sign a four-year contract with the north London club with the option for a further year. The Gunners are still believed to be on the observation post for a number of new signings this summer as the club’s hierarchy look to assemble a team capable of winning the Premier League trophy.